Get your brackets ready! The NCAA tournament is just around the corner, and March Madness is officially upon us. I've enjoyed watching the conference tournaments this week. They've been full of upsets, buzzer beaters, and cinderellas. The greatest part of the upcoming tourney is we all know that heros and superstars will be born during these forthcoming weeks. And even better, as a Jazz fan, I can only watch intently to witness these college stars perform on the greatest stage and know that one of them will eventually be playing for us. Keep on losing, Knicks! The consensus #2 pick in this summer's NBA Draft, Turner will soon be nominated as the college player of the year. He's led Ohio State to a terrific season. 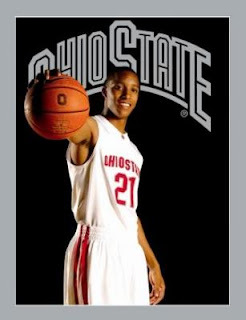 The Buckeyes will be on the look-out for a Final Four appearance with Turner leading the way. As a true freshman, Wall has guided Kentucky to the #1 seed. We'll see if Wall can carry the Wildcats on his back to the promised land, similar to how Derrick Rose did for Memphis. 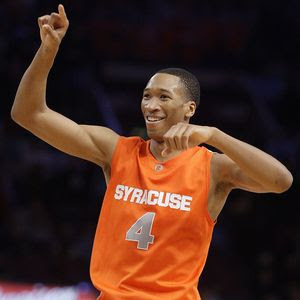 Syracuse could be a force in large part because of Wesley Johnson. Like Carmelo Anthony, one shining moment could be in his future. 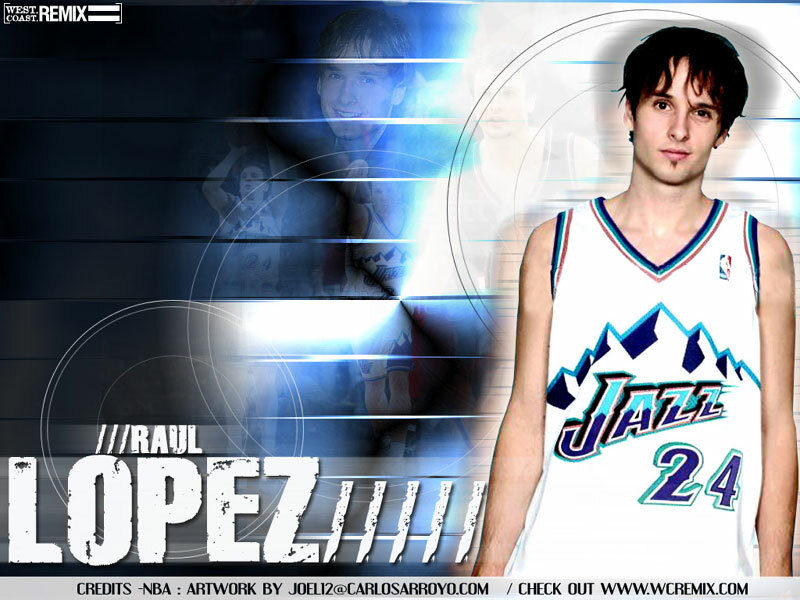 He's an incredible athlete and shooter, very reminiscent of Danny Granger. Aldrich will be controling the paint for the best team in the country. His defense is makes Kansas tough inside. If there was a team expected to win the champioship, it'd be Kansas. The versatile forward is playing some incredible ball during the tourney season. He's the best passing big-man I've seen in a long time. Bogut-esque. 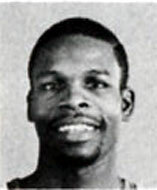 The one you won't be able to see during the tournament is Hassan Whiteside from Marshall. The freshman is leaping the board. Soon we'll see him inside the Top 8 (I watched him versus Jerome Jordan of Tulsa). Young and athletic... Is he a young Marcus Camby or a project, Javale McGee? Monroe had another incredible performance yesterday in the Big East tourney. His game is nice, but he needs to develop a bit more and seems just a tad undersized to play center in the NBA. Could this be the year the Jazz finally get a scorer/shooter at the two spot? The Knick pick is SO much more valuable if it's top five than if it is not. There is a real drop in talent after the top 5. Unfortunately, I think we'll be picking in more of the 10 range than the 5.